A Vitals Global Healthcare billboard promoting the contract in 2017. An appeals tribunal has upheld arguments by Projects Malta and the Data Commissioner against publishing the names of the people on the evaluation committee that judged Vitals Global Healthcare, a shell company with no healthcare experience, to be the best option for running three public hospitals. The Times of Malta had filed a freedom of information request for this data in April 2018. Projects Malta had rejected the request on the basis that it was “personal data”, an argument upheld by the Data Commissioner after a complaint was filed by the paper. The Data Commissioner’s Office noted in its decision that the Department of Contracts does not publish the names of the members on evaluation committees during or after evaluation. It said if such information were disclosed, it could prejudice future calls, as potential bidders would be provided with alternative routes of communication for future tenders with possible members of evaluation committees, potentially compromising procurement procedures. The contract, worth over €1 billion over a 30-year period, was not evaluated through the normal procurement channels via the Department of Contracts. Instead, the call for an expression of interest was handled by Projects Malta, an entity falling under the political control of Tourism Minister Konrad Mizzi. 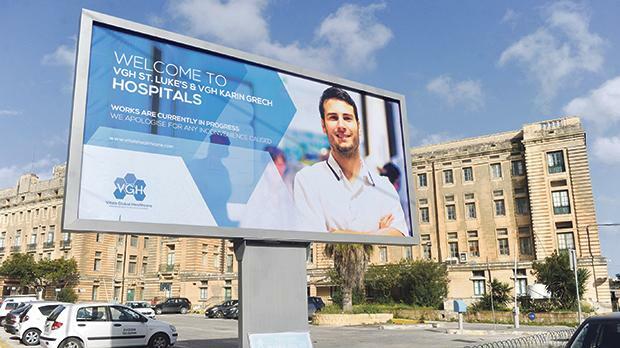 Assessment of the bids for the running of St Luke’s, Karin Grech and Gozo hospitals took place at a time when Dr Mizzi’s financial advisers Nexia BT were hunting for bank accounts for the minister to use to receive funds through secretive offshore structures set up in Panama and New Zealand. A freedom of information request by the Times of Malta in 2018 revealed how Nexia BT managing partner Brian Tonna and several other employees of the financial advisory firm sat on Enemalta evaluation committees for the power station bid won by Electrogas, back when Dr Mizzi was still Energy Minister. 17 Black, one of two sources of up to $1 million in potential income, was revealed to be owned by Electrogas director and Tumas Group CEO Yorgen Fenech. The owner of Macbridge, the second source of income mentioned in a leaked Panama Papers e-mail, remains a mystery. Vitals Global Healthcare pulled out of the concession in December 2017. The Shift News had later revealed that while Steward Healthcare bought the shares in Vitals Global Healthcare for €1, millions changed hands behind closed doors. Opposition leader Adrian Delia has taken to the courts to get the contracts rescinded.